My workouts before joining DSC were just what I could muster up being a member at Planet Fitness. I found it very boring! I would walk on the treadmill and depending on what TV show was on at that time would usually determine for how long! I had heard about DSC for the past 7 ½ years because my husband has been coming here forever. He tried many times to convince me I should join. I had no idea what a kettlebell or a burpee was and thought it was totally out of my element. He came home one night with a flyer about the new Women’s Group that was starting. I finally gave in, decided to give it a try and now have been here for 15 months! I can't believe I've stuck with it this long but my results have inspired me to keep it up. My goals were to lose weight and to start a healthy lifestyle. I am going to be truthful - I was so scared! Heading into my first night at DSC, I was having second thoughts about coming. I was afraid and kept thinking things like, "Am I too old for this? ", "Am I going to make a fool of myself?" or "Am I going to get hurt?" But then, despite all my fears, I was hooked my very first night! The coaches work right alongside of you, explaining and demonstrating everything throughout the workout. They make you feel comfortable so you get the techniques down and move at your own pace. Especially Renee, she was so awesome! My overall experience here at DSC has been that joining DSC is the best decision I've ever made! The coaches are here to see you succeed and help you along every step of the way. The best part is that everyone is so nice….it truly feels like a family here! I’ve lost 25 pounds and have gone down 2 clothes sizes. I am feeling healthy and happier than ever! I wish I had started several years ago…yes, I should have listened to my husband! After some time in the Women's Group, I eventually made the switch to the Co-Ed Group! When I first started I never thought I would ever feel "ready" for the additional challenge but with the help of the coaches I knew I could do it because regardless of which program, you always go at your speed! My two favorite parts of being a member at DSC are the coaches and the other people you meet in class. 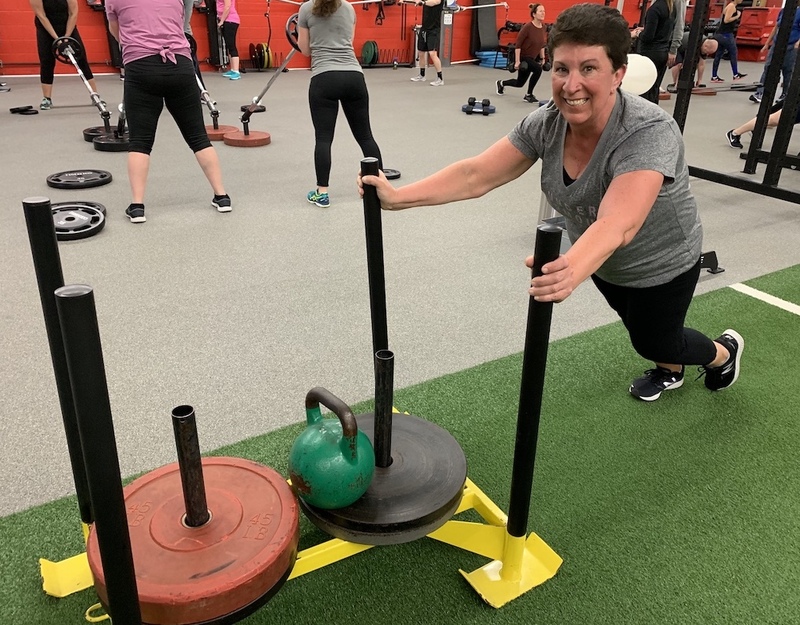 The staff make each and every workout fun, but they will also push you to your fullest potential – which is what I need. The DSC members are so encouraging and supportive. They also make the workouts fun and keep the environment positive and high energy! My advice to anyone who is thinking about joining the Woman’s Group is that you will have no regrets once you start. Everyone goes through the same fears that you are thinking of, and believe me, I had so many of them myself, but you just have to push through them…this is all about getting healthy and believe me, you are worth it!